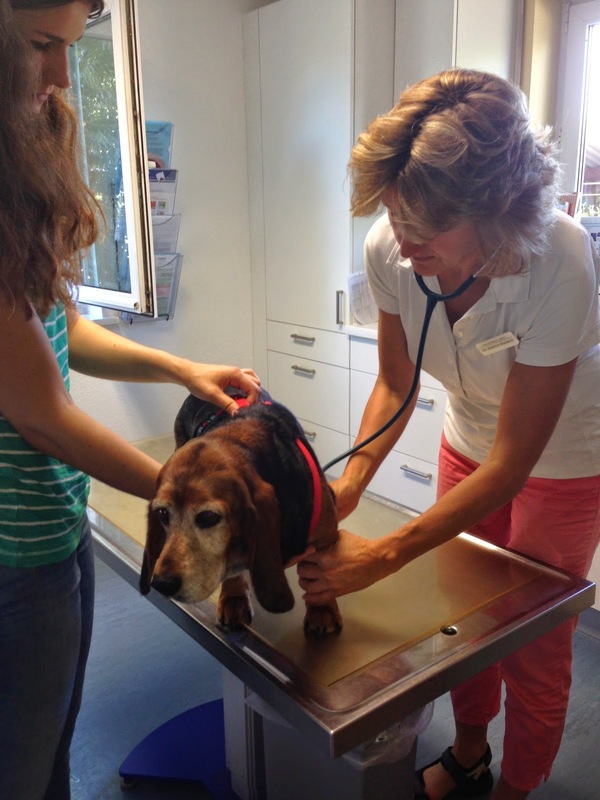 Our AWL Trixi had to see our wonderful and great veterinarian Martina, due to her skin problem (body and ears) Tests were taken and antibiotic injection was given to her. Claws had to be cute, they were way to long for her. She is adorable and kind. 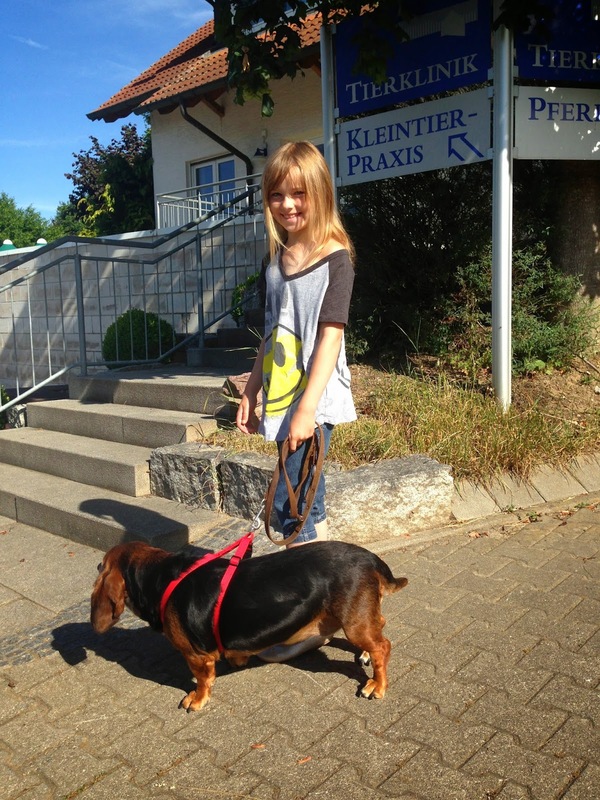 Trixi 7 years old had one family that didn’t bring her with them to their home-country when moving back. She was left in a foster home for one year. I was being told no one wanted to adopt Trixi since they thought she was to old ?!?! 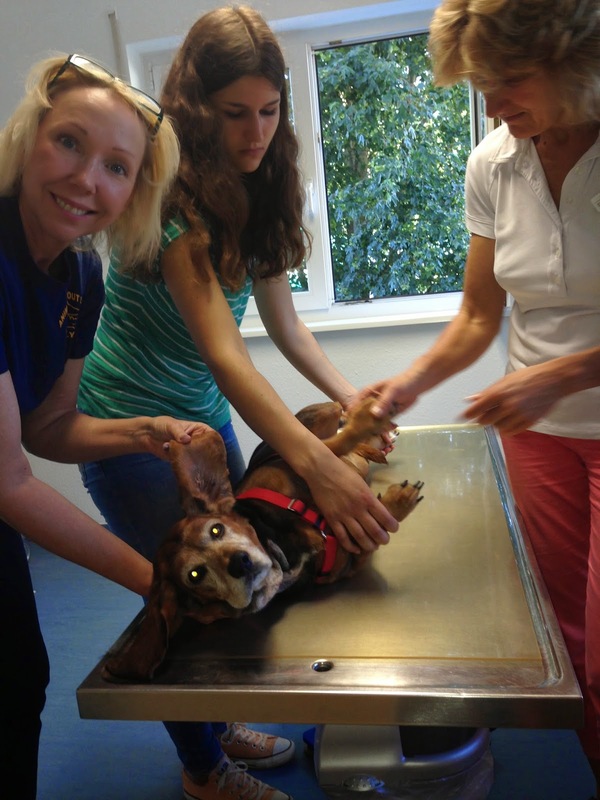 Our youngest volunteer Olivia helped us bringing Trixi to the veterinarian. 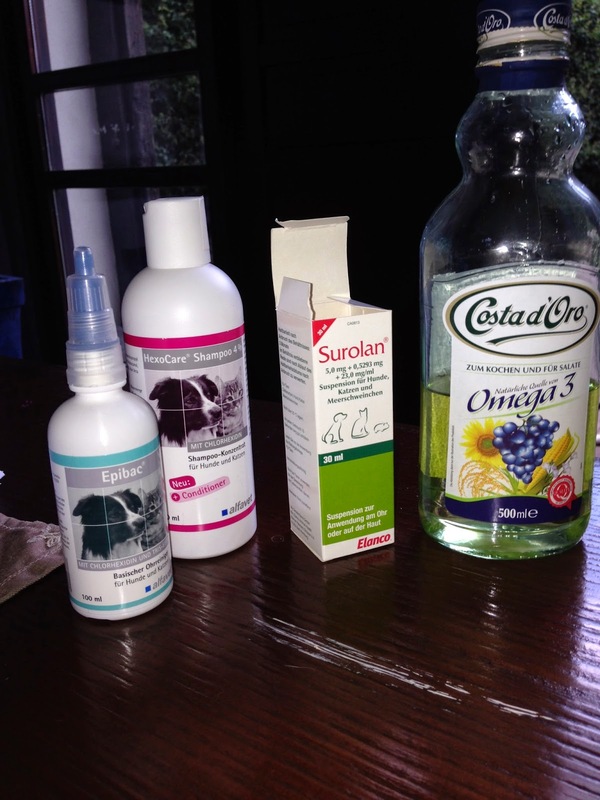 After the injection (antibiotic) we are treating her with these products. Since we are a non profit organization we gratefully ask you for help. All money goes to the animals care and treatments.